Everybody that knows me knows that my preferred drink is Tequila. If Tequila is not available then I'll settle for other less precious drinks. In winter I'll go for red wine (Malbec!) and if I'm am in the mood, then I'll go for Scotch. Now if the current wife is not in the mood (you know...the headache syndrome) then I just go to bed with the pleasant memory of a good drink. I have discovered two things by now: one is that the older women gets the more headaches they get and the older men get the more headaches we get. The women's headaches are quite unexplainable whereas ours are easily identifiable: women with frequent headaches. Most of the time all guys claim that their country of origin beer is the best. Irish (gosh), American (really? ), Canadian (hey).... but all are wrong. The only good beer is, of course, Mexican. If you think otherwise then please know that you belong to the wrong side. The current wife never ever drinks alcohol unless there is some available to her. Then she goes crazy. Lat time she drank, she climbed a tree in peruse of a black bear who she swore it was a bird, that is, a black bird. Hughe fight. Black bear vs current wife. I'm writing this on my black bear carpet, so guess who won that fight. ** the beer reacts to the salty mix and foams like crazy. This means that you poured the beer too fast. Don't waste the precious drink. Licking time. *This is a temporary loaned picture. I have to fight for the drink with the wife. Eventually I'll post mine. 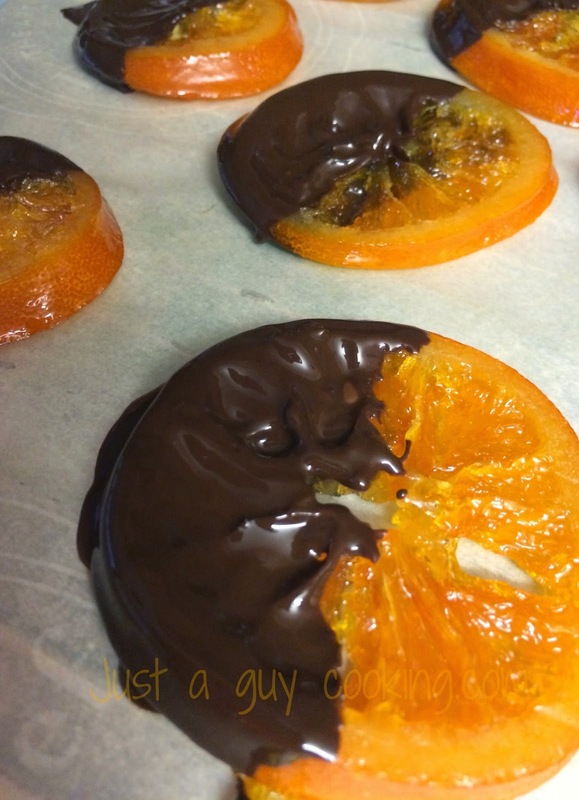 Two things in life that I really like are dark chocolate and candied orange peel. Many many times the current wife and I share store bought orange slices with chocolate and... they never last. Then I learned how to make my own and they are fabulous! ...but they don't last either. I would lie to you if I tell you that we fight for the last piece. I fear her... she always gets the last piece. Life. When on vacation this Christmas we bought a box of chocolate dipped orange slices, which honestly I have never seen or try. I know... sad, but that is the absolute true. The wife and I really really liked them, so I came back home determined to make them happen. I did. I guess once you have done the peels, then the slices don't look that hard to make. Just to try I only made one orange. The slices were not even, buy next time they will. In any event, they turned out to be really tasty. I'm hiding the last one under my pillow. I outsmarted her! 1. In a large heavy pot -the larger the better- bring the water to a boil. Add the sugar and stir until incorporated. 2. Reduce the heat to medium low (or the sugar will crystalize) and add the syrup. Stir until incorporated. 3. While the water is boiling, wash and scrub the orange (you can do more than one: just modify the water and sugar proportions). 4. Slice the orange (1/8 “ slices). Discard the bottom and top. Place the orange slices in the sugar mix and bring it to a rolling boil for 5 minutes, then turn the slices -carefully- and allow it to keep boiling for another 5 minutes. 5. Reduce heat to low and let it simmer for about 40 minutes, turning the slices every 10 minutes, just making sure that they don’t break. 6. Eventually you will have almost no syrup left and the white part of the oranges will look a bit translucent. Remove the slices once the syrup barely covers the bottom part of the slice. 7. Put the slices on parchment paper and allow it to cool a bit. 9. Put the parchment paper on a cooling rack and put the cooling rack on a cookie sheet. Place the oranges in the oven and allow them to bake for about 30 minutes or so, turing the slices every 10 minutes. Eventually the slices will look a bit dry. Remove from oven and allow them to cool for one day. 11. In the bowl put 1/4 cup of chocolate and allow it to melt completely ( at 105˚F the chocolate is ready for the next step), then reduce the heat to low. Stir occasionally. 12. Add 1/4 cup of chocolate and incorporate without heating or just heating when necessary. Stir to incorporate. Once fully incorporated we’ll add the last 1/4 cup of chocolate and stir until melted, stirring constantly until you get an even silk looking chocolate. Remove from heat and dip each orange slice and place them on another clean piece of parchment paper. Do not allow the chocolate to cool or to become more dense!…always keep a balance between warming up the chocolate and dipping the oranges. 13. When you have finished dipping all slices, then allow them to cool for 30 minutes, then place in the fridge and keep them there for at least 1 hour. 14. The slices are ready! I keep them uncovered until they are gone, that is, half a day. Sometimes life is like that. One has to separate himself from the crowd and feel like a million bucks. I do that when the lobster is on special at my local market (actually supermarket). When that opportunity arises, I just buy two or three lobster tails and freeze them until the day comes to enjoy one of the easiest and tastiest Mexican dishes I know. I would love to say humbly that I invented the recipe but I would be lying. I have eaten it somewhere (honest I don't remember... an age idiosyncrasy you know) and, based on my taste memory I decided to give it a try. They were a big success! Something is for sure: I did not went to any restaurant that would have served this amazing dish with the guy who calls himself my cousin, because he is as cheap as they come. 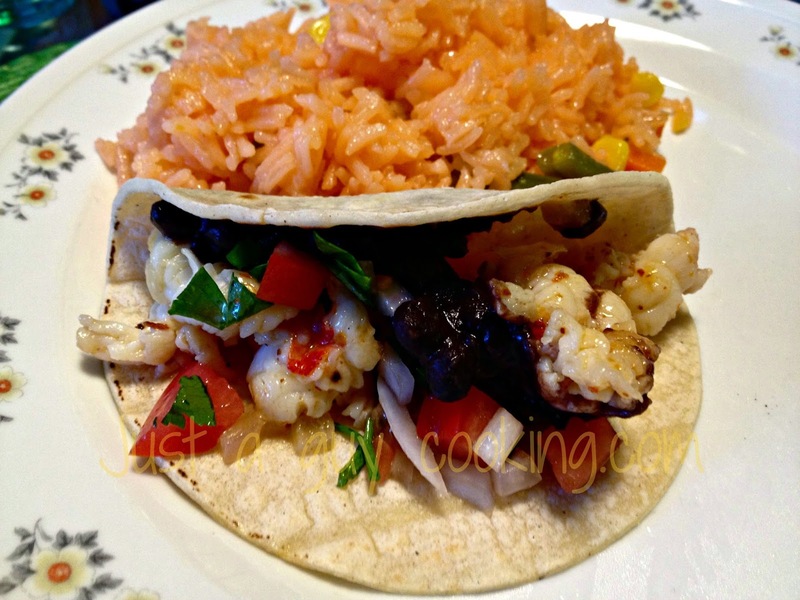 He would have said something like why to spend in lobster tacos if I can make those at home, just with pork meat instead of lobster and flour tortillas instead of corn tortillas. In any event, the current wife has enjoyed them several times as I always make sure that my son or any other uninvited guests are not coming for dinner. 1. 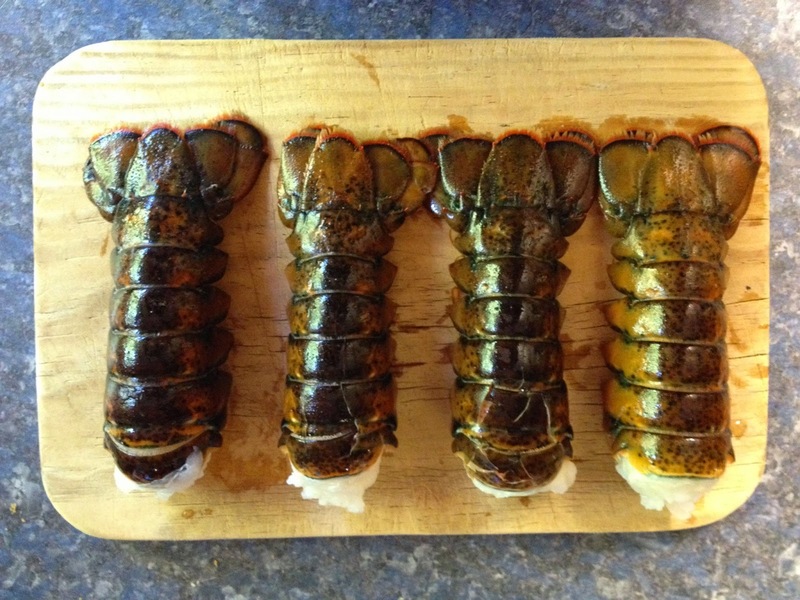 Clean the lobster tails, remove the shells and set aside. 2.In a medium pan, warm up the olive oil and the butter together and mix until incorporated. Use medium heat. 3. Fry the diced onion until it becomes a bit clear but not brown. Reduce the heat. 4. 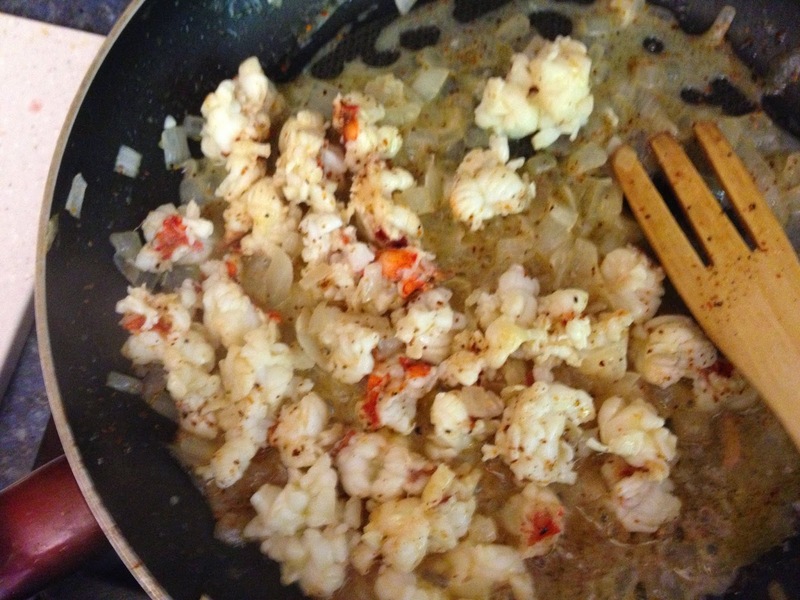 Cut the lobster meat in 1/4” pieces and fry it (low heat) for about 10 minutes. It is important that the heat is low, otherwise the lobster will dry up. Move constantly. 5. 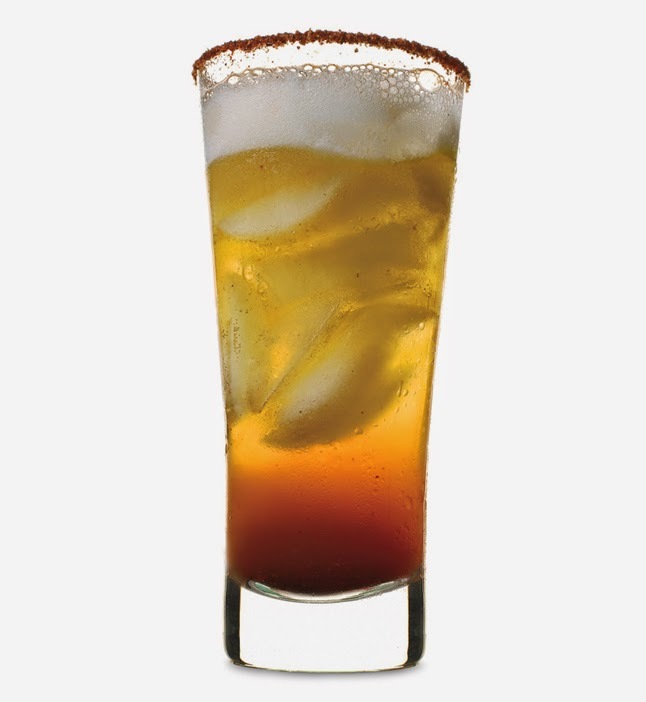 Add the lime juice and the piquín-ancho mix (I use Tajín brand pre=prepared mix). Continue mixing until evenly incorporated. 6. 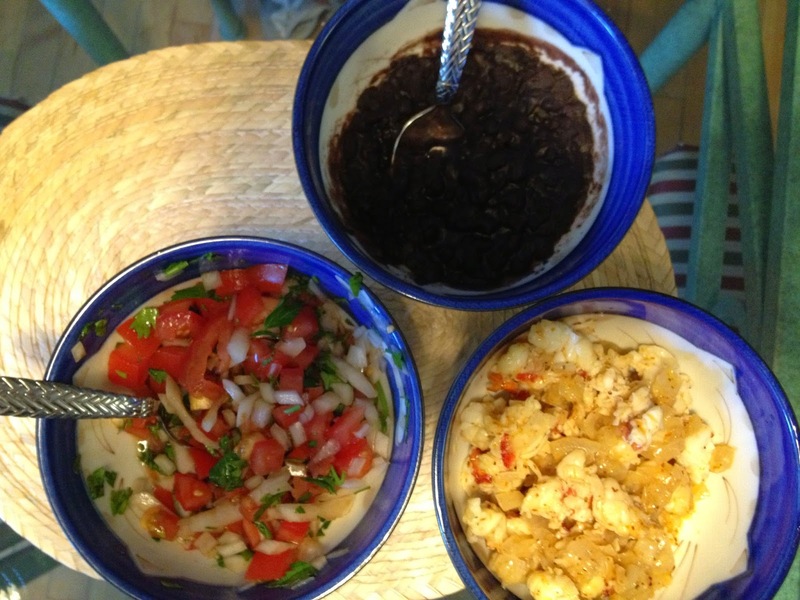 Warm up the rice, the beans and the tortillas. 7. 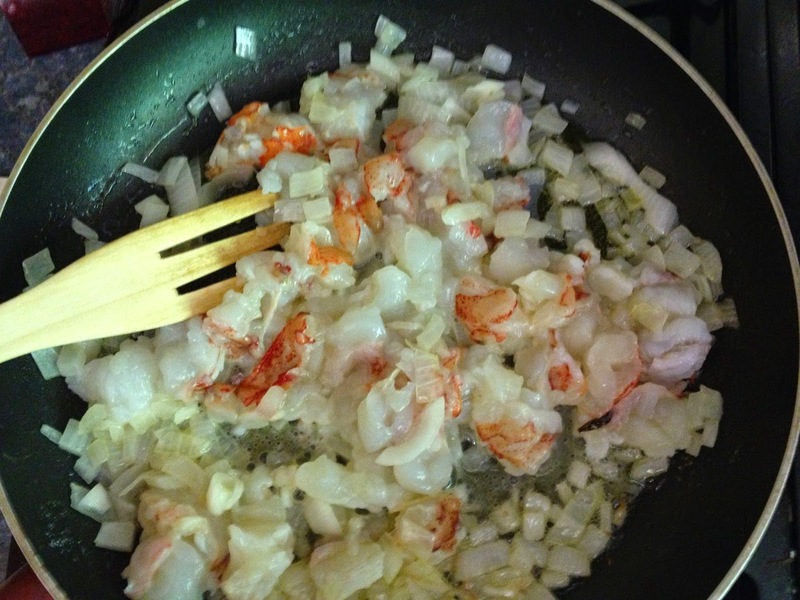 Elevate the heat to high and finish frying the lobster for another 2 or 3 minutes. The lobster will absorb the juice. You are ready to serve! * Piquín is a variety of hot pepper that grows in bushes that have small and pointy leaves. Usually they are 1 or 2 cm. long (about 1/2 of an inch). They are round and a bit elongated. When fresh they are green and when mature they become deep red. People consume it dried and by then its color is brown-red. It is a bit spicy but tolerable (that is, not crazy spicy). Also it is called tepín, chilepín, chilito, diente de tlacuache (opossum's tooth), mosquito, pajarito, enano, pulga, amash, chilpaya or just chile piquín.